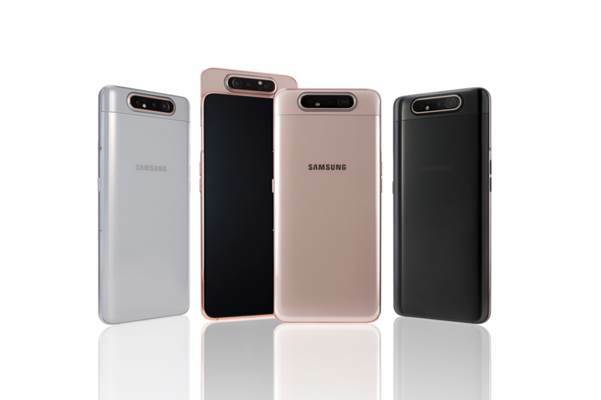 Samsung India has announced the launch of a new Smartphone in its A series called Galaxy A80. Samsung Galaxy A80 feature 6.7-inch FHD+ Super AMOLED display, 2.2 GHz Octa Core processor, 8 GB RAM, 128 GB Internal Storage and comes with Dolby Atmos sound. The phone has a rear camera which also acts as a front camera. When the user selects the selfie mode in the camera app, the three cameras automatically pop-up from back of the phone and rotate. The phone comes with a 48MP main camera with a 3D depth camera which offers live focus videos by scanning objects for measurement and depth. The A80 also features 3700 mAh battery with 25W fast charger. It also features an intelligent battery which learns your daily routine and app usage patterns to optimize your phone’s power consumption.